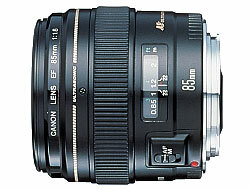 Canon EF 85mm f/1.8 USM is one of Canon’s portrait lens, 85mm being the classic portrait lens focal length. The other 85mm lens is the f/1.2L II USM . The f/1.2L being almost 6 times the price of the f/1.8, but make no mistake, the 85mm f/1.8 USM is truly a great lens at an affordable price and is pretty close to the optical quality of the f/1.2L II USM. This lens is quite light and compact, especially compared to the f/1.2L. The contruction of the lens is good, although not up to the “L” standard of course. As in all Canon’s non “L” lenses, a lens hood was not included. Thanks for the ring USM motor, focusing is very fast, quiet and accurate. Full time manual focusing is possible. Action of the manual focus ring is very smooth. The image quality of this lens can only be considered as excellent, even when wide opened. It can also generate a really pleasing buttery bokeh. Although, 85mm is a classic portrait focal length, this lens can be used for other kinds of creative photography, don’t limit yourself to just portrait photography with this lens. I highly and wholeheartedly recommend this lens. It is truly a bargain at this price. The following are some sample of shots I have made with this lens. Really a nice prime lens. Worth the money.